Testimony provided to Congress from former FBI lawyer Lisa Page reveals contradictions as to when she learned about former British spy Christopher Steele’s anti-Trump dossier, sheds light on the “insurance policy” and exposes the Obama Justice Department’s decision not to charge Hillary Clinton with allegedly violating the Espionage Act. Page’s testimony, which was delivered behind closed doors last July before a joint task force of the House Oversight and Judiciary committees, reveals the internal machinations between senior bureau leadership and the DOJ. Basically, her testimony adds more depth to what happened during the critical months during the FBI’s investigation into President Trump’s election campaign and the bureau’s “Midyear Exam” investigation into Clinton. As for the Clinton investigation, Page said the bureau “did not blow over gross negligence.” She told Rep. John Ratcliffe, R-Texas, there were ongoing discussions with former FBI Director James Comey and other senior officials about the issue. She said “on its face, it did seem like, well, maybe there’s a potential here for this to be the charge. And we had multiple conversations, multiple conversations with the Justice Department about charging gross negligence,” she said. Page’s testimony does coincide with what former FBI General Counsel James Baker’s told the committee on “gross negligence.” In testimony he stated that he originally believed Hillary Clinton’s mishandling of highly classified information was “alarming” and “appalling,” as first reported at SaraACarter.com. He also believed her use of a private server to send the classified emails was sufficient enough to secure an indictment to possibly charge her for violations under the Espionage Act, for mishandling sensitive government documents. However, her testimony focuses on the DOJ’s push not to charge Clinton, whereas Baker puts the onus on Comey. He said Comey did not believe the charges would stick and that he argued with Comey until just before the public announcement not to charge Clinton. Baker suggested he changed his mind shortly before Comey announced publicly on July 5, 2016 not to charge the then presidential candidate. Page also expands on the FBI’s controversial “Crossfire Hurricane” investigation into members of the Trump campaign and links the investigation to controversial text messages made between her and former FBI Special Agent Peter Strzok regarding the “insurance policy” against Trump. Strzok and Page were removed from Special Counsel Robert Mueller’s investigation after their anti-Trump text messages were discovered. Page left the FBI and Strzok was fired shortly after DOJ Inspector General Michael Horowitz report was made public last year. Page expresses in her testimony that during the investigation into the Trump campaign there was a sentiment at the time among bureau officials regarding the president’s electability: nobody believed he would win. “[W]e don’t need to go at a total breakneck speed because so long as he doesn’t become President, there isn’t the same threat to national security, right,” Page added. Moreover, Page contradicts Ohr’s testimony regarding when she first knew about former British spy Christopher Steele’s dossier. 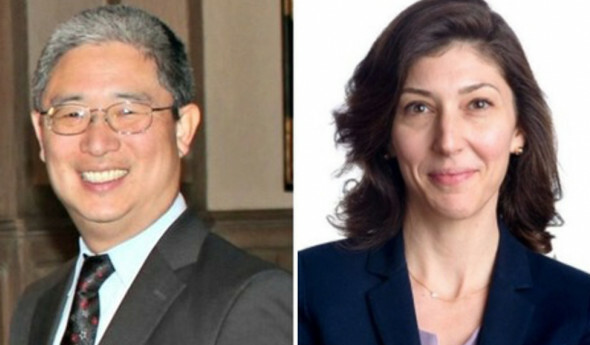 She claims in her testimony that she did not know about the dossier in August 2016, however, Ohr’s testimony reveals that he delivered Steele’s information to the bureau shortly after meeting with Steele. In fact, he met with former Deputy Director Andrew McCabe and specifically, Page at the bureau to deliver the information. Ohr reveals this during an exchange with then-Chairman of the House Oversight and Government Reform Committee Trey Gowdy, R-SC. “Why? Why did you meet with them,” asks Gowdy. “To pass the latest information that I had received,” Ohr responds. “How did you find out who to meet with? Who did you call to find out,” questions Gowdy. Ohr explains that prior to that meeting with McCabe and Page he had met with Steele on July 30, 2016. “After the July 30th meeting with Chris Steele, I wanted to provide the information he had given me to the FBI. I reached out for Andrew McCabe, at that time, Deputy Director of the FBI and somebody who had previously led the organized crime, Russian organized crime squad in New York and who I had worked with in the past, and asked if he could meet with me,” he said. Gowdy then asks when exactly did Ohr meet Strzok and Page. “I don’t recall the exact date,” Ohr says.